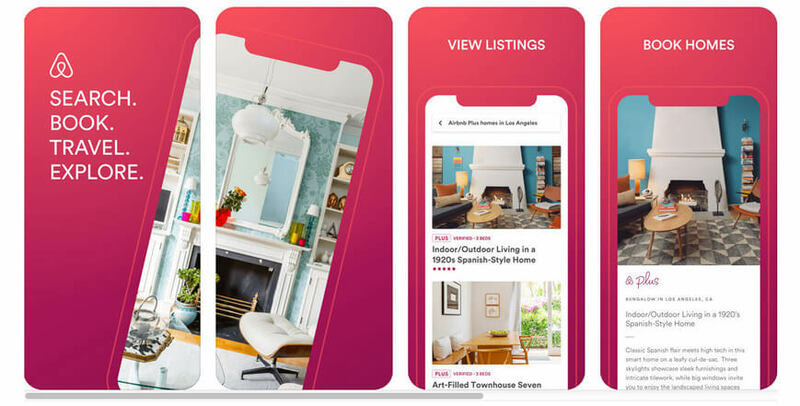 App Builder Appy Pie, April 03, 2018: To travel is to learn, to experience, and be introduced to the new world. It is an activity that is rewarding and invigorating, by stimulating us physically, mentally, emotionally, and spiritually. However, it is quite common for the travels to become stressful, when you have to plan ahead, pack the right stuff according to the weather there, make bookings, and accomplish another hundred things even before landing at the destination. For some lucky ones travelling is a part of their lives as they jet set around the world, while quite a few others need to plan everything out to go on that one coveted vacation in 2, 3, maybe even 5 years. When you get this opportunity so rarely, you would definitely want to make sure that the money and time that you have invested brings in the desired effect! Appy Pie has therefore looked into some of the best travel apps that would make your vacation fabulous and stress-free! These apps can help you plan, enjoy the stay, and help you share all that you have experienced on your holiday with the rest of the world easily and in a fun manner! Why need an app while travelling? This is something our technologically challenged friends might ask! Considering that people had been travelling without the travel apps for quite some time now, this might even be a valid question to ask. But times have changed, and so have your expectations as a traveler. So, let’s take a look at the different ways in which a travel app can help you have a memorable vacation in 2018! Anything that is well planned has higher chances of being a success. Your travel should begin with a planning phase too! If you skip this step, you might be setting yourself up for some nasty surprises and the whole experience may as well be disastrous. 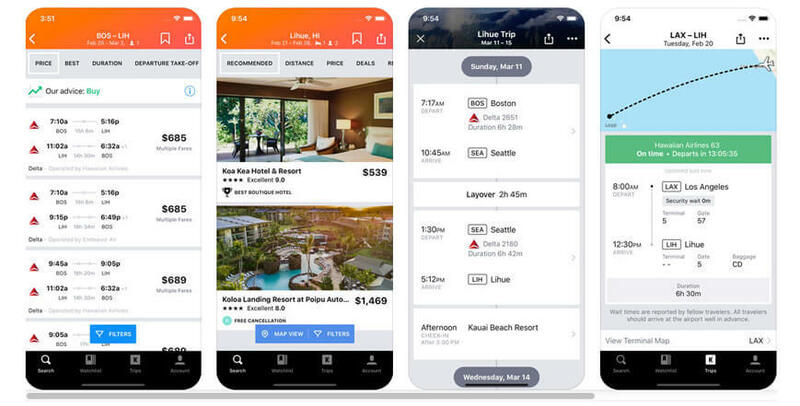 When you have the right travel app to plan your travel, help you find the cheapest flights, best hotels, suggest places to visit, and other such things, your vacation is going to be a smooth breezy affair, instead of an unintended misadventure! Once you have arrived at the destination with a fool proof plan in your hand, do you think you don’t need apps anymore! Think again! There would always be things that will go awry, schedules may change, or you may find out that you want to do something completely different from what you thought you wanted to do. Some apps might help you get around in an unfamiliar city, others might help you understand a foreign language, and some might help you find that one obscure treasure of a café without you running in illusory circles. When you go on a vacation, you have gone through an experience that invigorated you and brought back some treasured memories. It is natural that you would want to share them with the rest of the world! While Facebook, Instagram, Twitter etc. are all fine to document your travel, but there are some specialized apps that would not just document them but accentuate the memories too! The sights and sounds of a new location excites a traveler as they stumble through unchartered, & unfamiliar destinations. However, if there were some tools to make this journey stumble free & smooth, wouldn’t you then enjoy what is around you in a better way? Here’s a list of the top travel apps, put together by Appy Pie that make travelling in 2018 easy breezy! Airbnb has changed the way we travel and has assumed the status of a household name. This is a unique marketplace that lets the travelers find some of the most unique accommodations for their vacations. While you can book yourself a weekend at a picturesque Bed & Breakfast, you can even rent out a small apartment for a week in the city, and if you are feeling generous go and book yourself a castle for a month! Airbnb lets you experience the destination with a local flavor as you stay among the locals and discover the real essence of the place. The re4cent addition of the new feature called Trips offers you options of Experiences that you can choose from while you are staying there. These Experiences may be anything from a food trail, to a trek, or a bike ride, and are curated by the local guides. This can be your one stop shop that lets you book your flights, hotels, & even cars when you set out to your newest travel destination. The app searches across all the travel sites for all these services to offer you the best deals. In fact, Kayak is also known for offering you some exclusive deals that you wouldn’t find on any other sites and even lets you set some price alerts while using Price Forecast function, you can figure when would be the best time to make a purchase. It acts as a travel planner also by displaying all your important details from your flight details to your hotel booking number, in an easily accessible manner. One unique feature of Kayak is that it lets you set the maximum airfare and shows you all the destinations that you can travel too, now isn’t that cool? 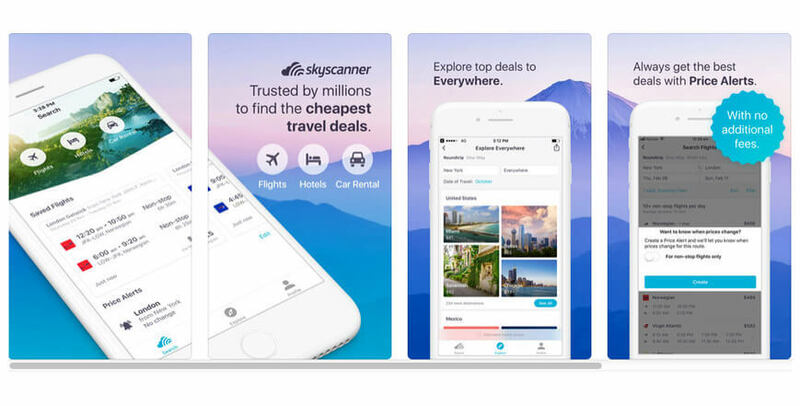 Skyscanner is awesome if you are looking for a deal on domestic & international flights. 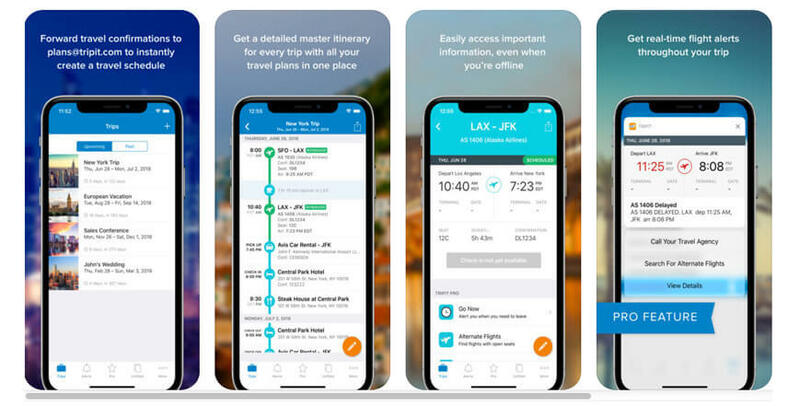 This magical app compares prices across millions of flights and hundreds of airlines and the traveler can directly book their flights through the app with the links for travel agents or airlines. What’s more you can do the same for hotels and car bookings too! You can even set alerts for price changes. If you do not have your heart set on a particular destination, you can also explore their “Top Deals” section and browse through a curated list of pocket friendly destinations from your nearest airport! 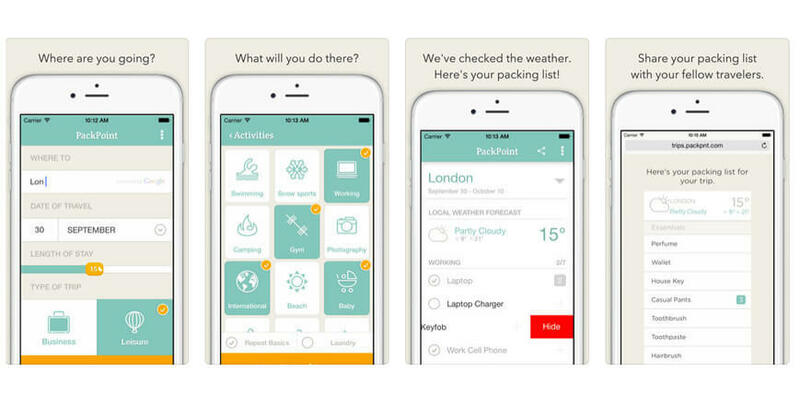 This is an amazing travel organizer and lets you compile your travel arrangements in a single app, making them easy to access whenever you want. The focus of the app is in keeping you organized and they’re good at it! All you have to do is send your flight and/or booking details to TripIt via email, and the app begins building your personalized itinerary. You can even let the app scan your email inbox so that it can automatically import all your trip details, so you don’t have to worry about missing out on anything. This is an especially useful app when you are in the middle of your vacation, making your stay enjoyable by helping you find tourist attractions quickly or just find some great eateries as you are on the move. 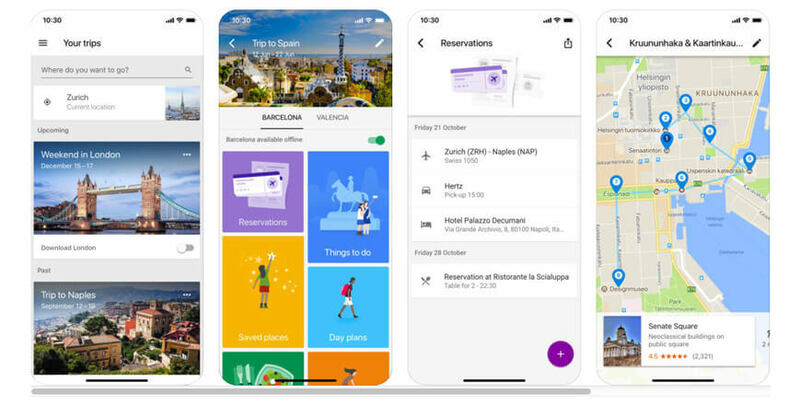 The app organizes all your travel plans into trips, so if you have multiple destinations on the app, you would have neat little organized bundles of information, available for you to access whenever you need to. The best part is that everything here is available offline, so the app is going to help you even when you end up in ‘no network’ zones! 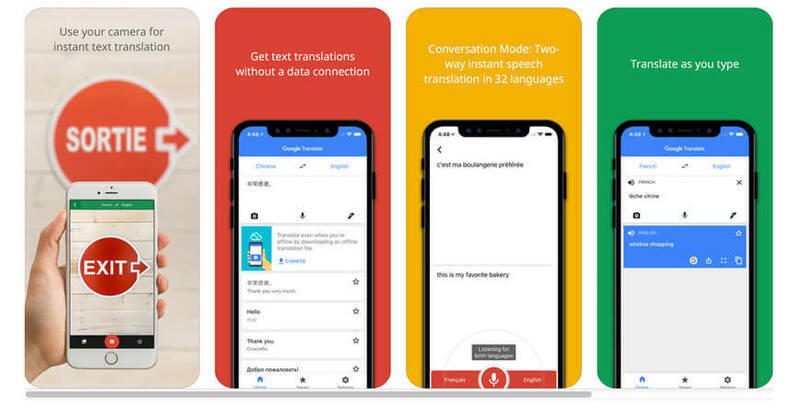 This is a particularly useful app when you are travelling to a country or part of your country where language is going to be a barrier. You are of course familiar with what the app does – i.e. translate languages for you, but you might not know the different ways in which this can be done! The app can translate 103 languages when you type them in, but for 32 languages the app can translate entire conversations in real-time! You can even use the camera on your device to view enhanced translations or even take photos to translate them with higher accuracy, and you can even draw the characters instead of typing them for translation. The app works offline too and can translate 59 languages in the offline mode! Definitely a must-have travel app! Handling foreign currency and doing all that math and conversions in your head is tough enough, and when the exchange rate keeps changing, it is enough to make your head spin! Who’d want that to happen on one of their travels. 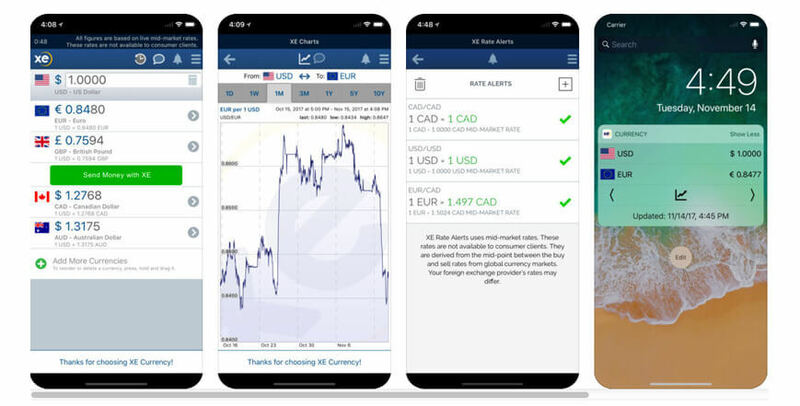 XE Currency is a great app for just this scenario as it offers live exchange rates for currencies from all over the world, and the rates are refreshed every minute! 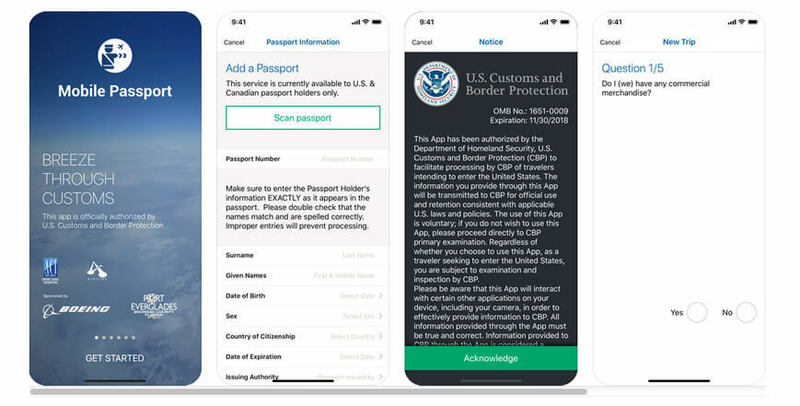 Mobile Passport can come to your rescue when you don’t have Global Entry and help you speed through US Customs and Border Protection. Fill out the same form on your app and get a QR code that can be scanned by the security professional in your own special queue speeding the whole process up! This app is currently being used in 24 airports & a cruise port and can be used by US citizens & Canadian citizens on B1 & B2 Visas. The ultimate crowdsourced guide to your travels – TripAdvisor lets you browse through millions of reviews, images, and videos for a lot of establishments from the world over. 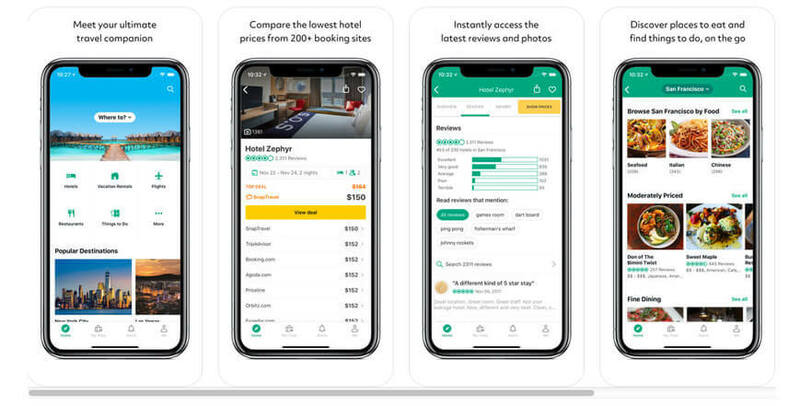 The app lets you access contact details, explore restaurants, search for establishments in proximity, check out airfares, and also add to the pool of knowledge by adding reviews, photos, ratings etc. for the places that you visit. 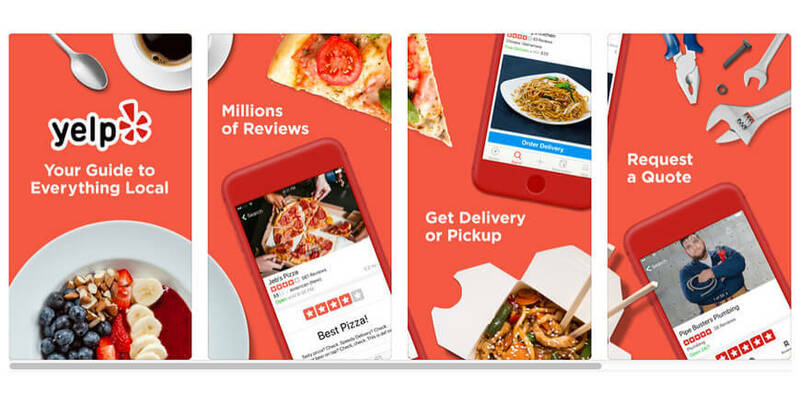 Yelp has been around for quite some time now and has been helping travelers find unique and enjoyable experiences. 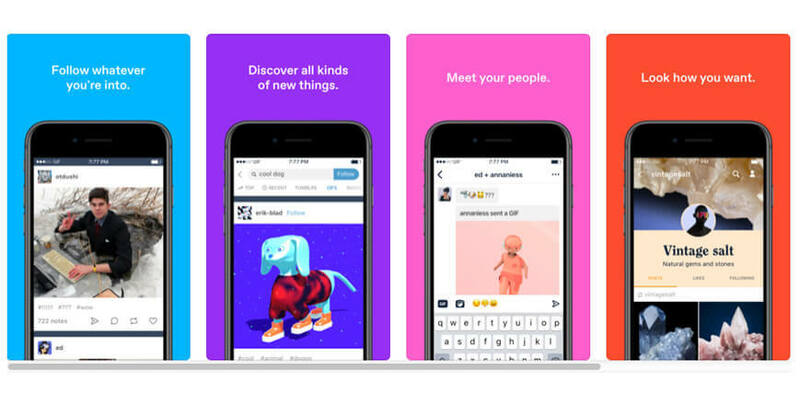 The app is richly populated with consumer-curated recommendations for “the best” things in a designated area. Hence when you are in unfamiliar territory and are craving a nice cup of brew, seek help from Yelp! Nothing works better than a checklist when you are packing up to go on a vacation. However, compiling a good checklist can be quite a cumbersome task and it is easy to miss out on stuff in all the chaos. Leave it to PackPoint to do just that for you! Enter the destination and the activities you plan to indulge in while you are there, and the app will compile a checklist for you reminding you to pack your swimwear if you plan to take a swim and pack your running shoes if you are planning to go on a run! This might not be perfect on the first go but you can always customize the list by adding or deleting items on the checklist. One of the most unpredictable and fickle factors that influences your travel plans is the weather. Not knowing about the weather can turn your trip to the beach, nature hike, or any other outdoor excursion into a disaster. 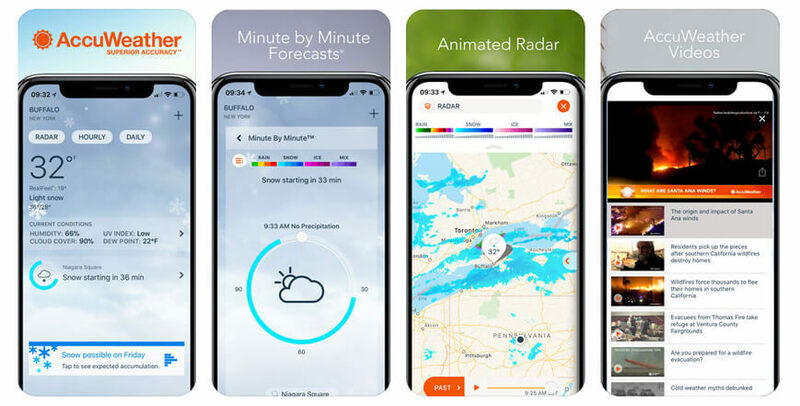 AccuWeather is a great weather app with an international weather reach and features 15 day forecast summaries, 5-day forecasts, and the hyper-local AccuWeather MinuteCast. This last feature uses your GPS location and provided minute by minute forecasts up to the next two hours. Love it or hate it! Uber does make your travels a lot more convenient and relaxed. 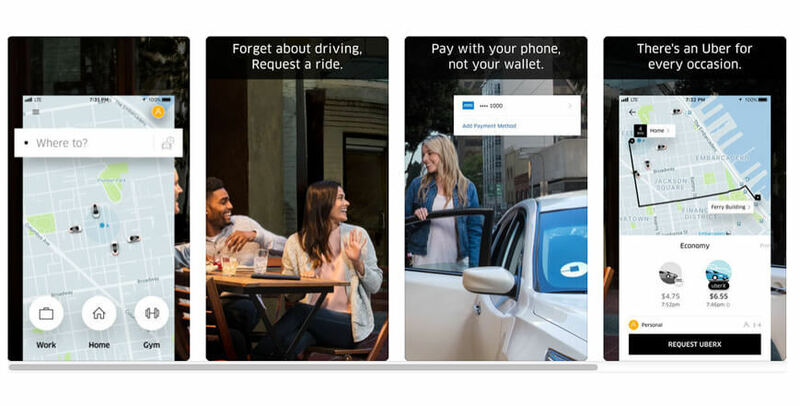 Even though you might not have used it much when you are at home, Uber can become especially useful when you are travelling. It can help you transcend language barriers and help you reach your destination without getting lost in translation and not even get confused by a foreign currency. When you’re on the go, and you gotta Go, SitOrSquat – the restroom searching app can be a lifesaver! 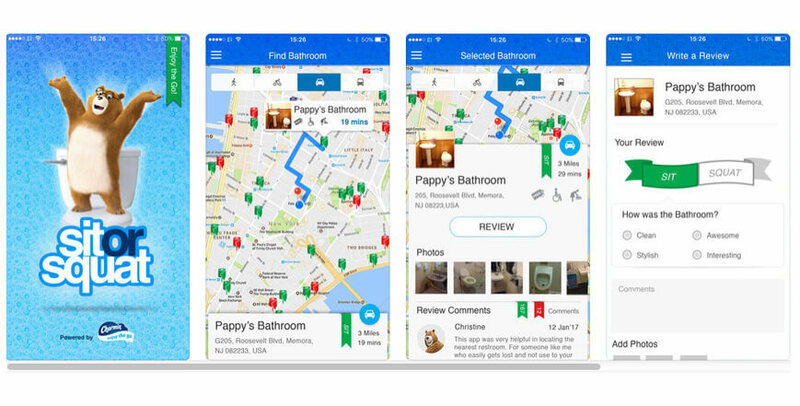 Loaded with more than 100,000 public restrooms the app can point you to the nearest one to your current location. What’s more, it can even rate these restrooms with a “Sit” if it is clean and “Squat” if not. On the app, travelers can even add toilets or rate the existing ones to make the database more robust. Travelers can search for restrooms by adding filters like location, rating, availability of a changing table, free or payable etc. 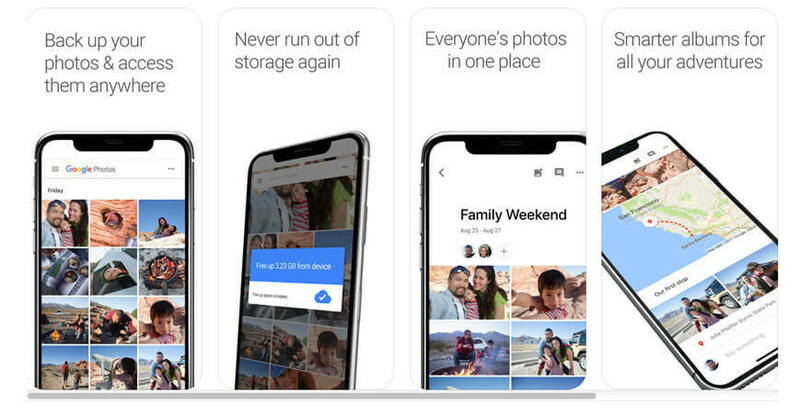 A great app for keeping all your memories of the eventful trip safe, Google Photos is, as of now the best way of storing and organizing your photos. The app lets you store unlimited photos in high resolution, making them accessible from all your devices. The app is unique in the great range of smart features that make sharing your experience fun & convenient. You can create albums, make GIFs, or even break out clips from videos, and share with your loved ones in a jiffy! 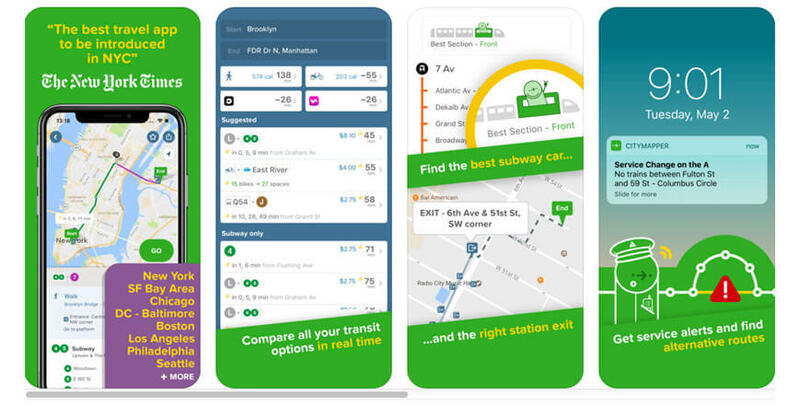 One of the best apps worldwide to find and utilize public transportation, the app can connect with some of the ride-sharing services, offer the fastest way to reach your destination, and even checkout the subway and train times for quite a few cities even when you are not connected to the internet. The app even lets you set alerts for particular train or bus lines, alerting you when you need to get off. The app is simply fabulous if you are taking public conveyance for the first time in a new place. 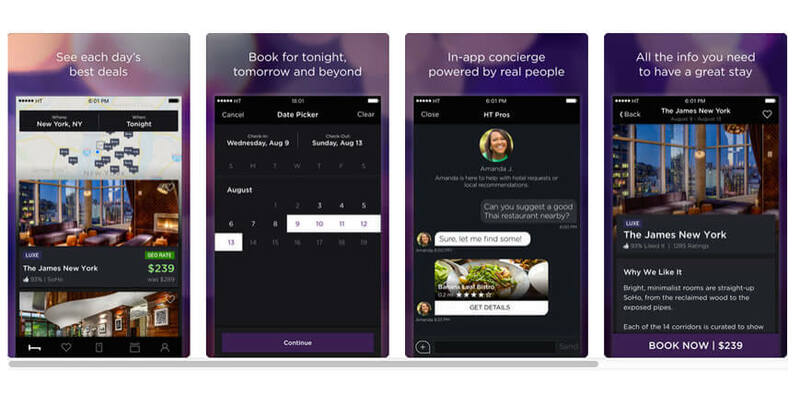 This app can be your go to contingency plan for hotel bookings. So, you missed your connecting flight and the next one is tomorrow, book last minute hotels through Hotel Tonight and get discounted rooms from good hotels in seconds! The app also offers round the clock support in case something goes south! Facebook, Twitter, Instagram may be great for sharing photos in your immediate circle, but Tumblr is great when you are looking for a long-format channel and want to reach a larger audience apart from your circle of friends and family. While the app allows you to promptly share your photos and videos, it also lets you post long-form narrations to be shared with friends and strangers alike. This app is great when you want to add some context, quirk, or life to your photos. It lets you apply different text fonts, shapes, stickers, etc. to your images and make sharing fun! For example, if you have a photo of a hiking trail, you can add the name of the trail, a quote, or an interesting sticker to make your picture pop and get noticed!